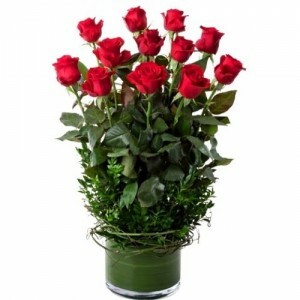 This arrangement boasts 12 luscious long-stemmed red roses and will be sure to create a lasting impression. Spoiled that special someone and let them know that they are always on your mind. Roses available in Red, Pink, Yellow, Orange & White.